Attorneys and finance specialists collect tens of millions in fees. 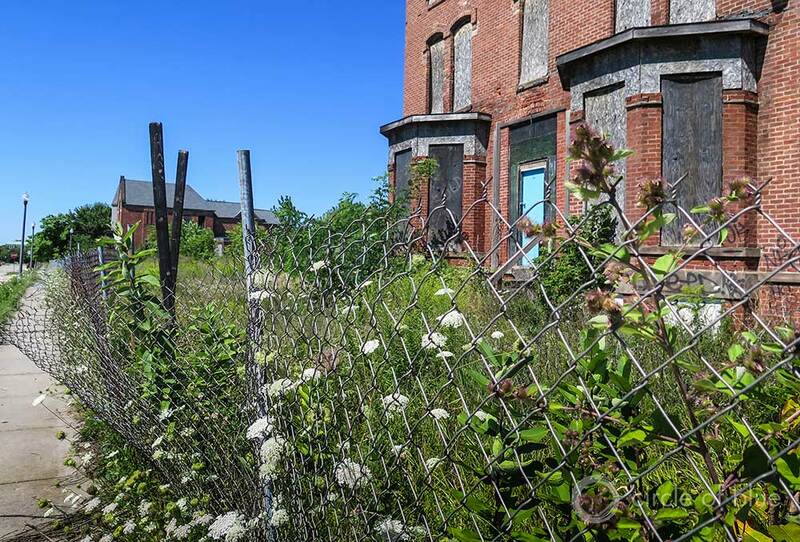 Shuttered homes, empty lots, and acres of open space are common features of Detroit’s geography. Since 1954, when the city’s population peaked at nearly 2 million, Detroit has lost an average of 20,000 people annually. Less than 700,000 people currently call Detroit home. Photo © Keith Schneider/Circle of Blue. On July 18, 2013 Kevyn Orr, Detroit’s emergency manager, acted on the remarkably broad authorities afforded him by an eight-month-old state law and filed a petition to launch the largest municipal bankruptcy in U.S. history. Orr’s intent, he said, was to reduce the beleaguered city’s operating costs, reduce the cost of servicing the city’s debt, and set Detroit on a fresh course to redevelopment and prosperity. In the more than 13 months since the bankruptcy petition was filed it’s become steadily clearer who’s better off in Detroit and who is not. The owners of small and medium-sized businesses that have invoices still to be paid by Detroit are not. They could receive 30 cents on the dollar or less on the outstanding balances. The city’s 22,500 retired employees are not. They will experience pension cuts. About half the city’s general employees agreed to cut their pensions almost 5 percent, slash their health benefits 90 percent, and receive no cost of living adjustments. The other half – retired police and firefighters – will receive full pensions, but accepted a 55 percent reduction in cost of living adjustments and will receive only a small cash stipend to offset the cost of their new private health insurance plans. 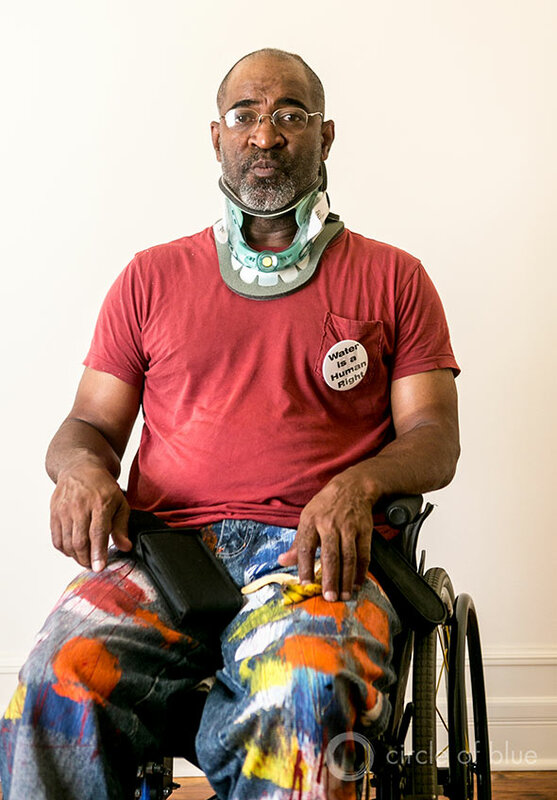 Thousands of residents, many of them jobless and impoverished, also are not better off. They face losing their water again as a 37-day moratorium is lifted today and Detroit’s water department resumes cutting off water to property owners who are either $150 in arrears or 60 days late in paying their utility bills. Some 83,000 residences and businesses are said by the Detroit Water and Sewerage Department to owe $90 million to the utility. But there’s another group, largely composed of professionals from outside Detroit and outside Michigan, who’ve benefited enormously from the Detroit bankruptcy, pocketing tens of millions in city payments from the circumstances that led to the pension reductions and water shutoffs. Detroit’s bankruptcy trial is scheduled to start Tuesday, September 2, in U.S. Bankruptcy Judge Steven Rhodes’ courtroom at the U.S. District Bankruptcy Court for the Eastern District of Michigan. Over the next eight weeks or so, the trial proceedings are expected to reveal just how much “better off” the big banks financing the city’s new debt and financial obligations — as well the lawyers, bankers, accountants, and consultants involved in the deal-making — will be from rearranging Detroit’s fiscal operations. An examination by Circle of Blue of the reports, exhibits, studies, and court orders filed with the federal bankruptcy court yields a disturbing and unassailable conclusion: While unionized employees lost jobs and substantial portions of their pensions and benefits, and thousands of Detroit’s poorest residents are severed from water supplies and sewer services, the nation’s biggest banks are making $6 billion to $7 billion in new bonds available to refinance city debts, a move that should reduce interest payments. Meanwhile, tens of millions of dollars in transaction fees will be collected by bank officers. Traders selling the bonds could collect hundreds of millions of dollars more. And the regiment of lawyers and accountants handling the deals and managing the bankruptcy, at fees that range from $500 to $1,000 an hour, are collecting over $8 million a month for their services and expenses. Making all of this possible is Michigan’s emergency manager law, hastily enacted by the Republican led state Legislature during an end-of-the-year lame duck session and signed by Michigan’s Republican Governor Rick Snyder in December 2012. The law authorizes the governor to appoint an unelected manager “with the tools needed to address a local unit’s financial emergency,” according to a fact sheet issued by Gov. Snyder. Those tools include expansive executive authority to oversee city departments, budgets, and finances without interference from mayors or city councils. 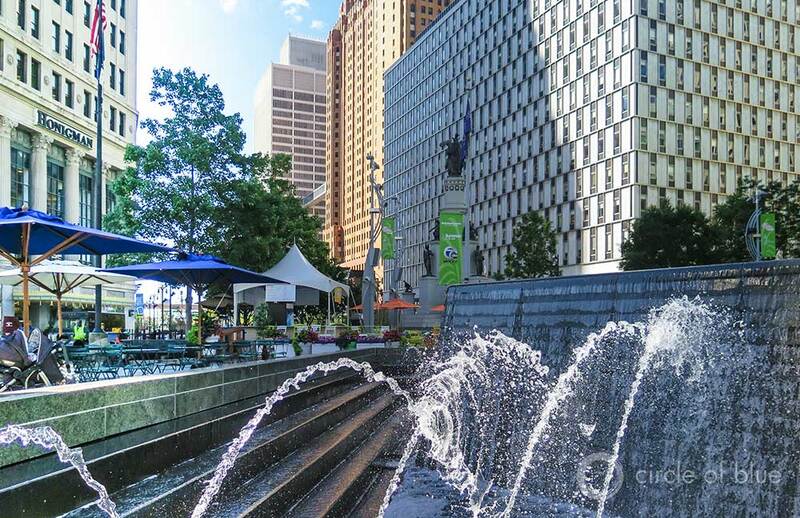 Photo © Keith Schneider/Circle of Blue The fountain at Campus Martius in downtown Detroit symbolizes the city’s location amid ample freshwater resources in the Great Lakes region of the United States. 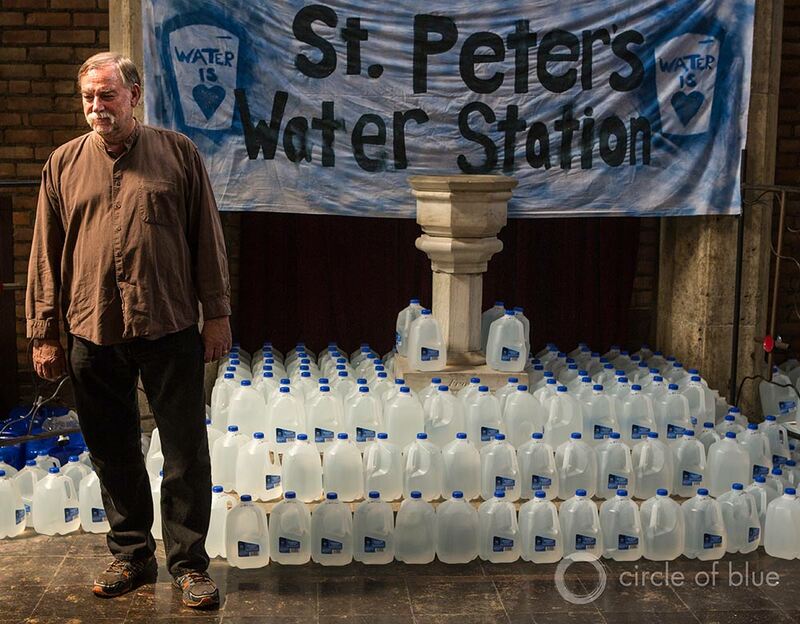 Water shutoffs for thousands of Detroit residents are not the result of scarcity. They are the culmination of urban deterioration, job loss, declining population, and mismanagement. There’s a clear reason for Detroit’s decision to resume cutting water off to thousands of city residents today. The Detroit Water and Sewerage Department needs the money. Since 2004, according to city records, the department has operated with budget deficits that averaged $57 million a year. A second factor is the role that the Water and Sewerage Department, and its giant water works along the Detroit River, is playing in the bankruptcy trial scheduled to begin next week. Clearing overdue accounts is part of a campaign by the department to increase revenue, lower costs, and make the agency’s infrastructure more attractive to new managers, new investors, and perhaps new owners. Critics of the water shutoffs assert that the program is patently unfair. Though the water agency serves 126 communities and more than 3 million residents in Detroit’s suburbs, the bulk of the work to increase revenue and lower costs has fallen on city residents, who number less than 700,000. Moreover, while the water department shut service to 17,000 residences this year, it left many of its largest overdue business and commercial accounts alone. The state of Michigan, for instance, is overdue by more than 60 days and owes the water department $5.67 million, according to agency records. Chrysler owes $96,771. The big cost savings has been in labor. The water department employs 1,535 people, almost 600 fewer workers than in 2011. But those savings are offset by diminishing sales and rising expenses. Department leaders say water sales have dropped 46 percent since 1999. Uncollected bills, said to total $90 million today, have soared since 2008 when they were around $10 million. Debt service on more than $5 billion in bonds and other financial instruments represents 45 percent of the department’s annual costs, more than any other expense including labor. In previous years the department has been careless in generating new capital. In 2011 and 2012, according to court records, the water department worked with bankers in separate bond sales that raised $1.159 billion ostensibly to improve equipment and infrastructure and shore up city pension funds. But $537 million of that money was used to pay termination fees to Citigroup, JP Morgan Chase Bank, Morgan Stanley Capital Services, Bank of America, and UBS AG. Such credit swaps have come under investigation by the Securities and Exchange Commission and the Justice Department for financial fraud. In 2012, UBS paid $1.5 billion in fines connected with manipulating bond sales. In 2013, JP Morgan paid $13 billion to settle US Justice Department charges that it conducted fraudulent transactions involving the sale of bonds. This month, Bank of America paid $16.65 billion to settle similar federal charges. Emergency Manager Kevyn Orr has proposed refinancing the department’s debt again with more than $5 billion in new bonds, a measure that should reduce debt service payments. 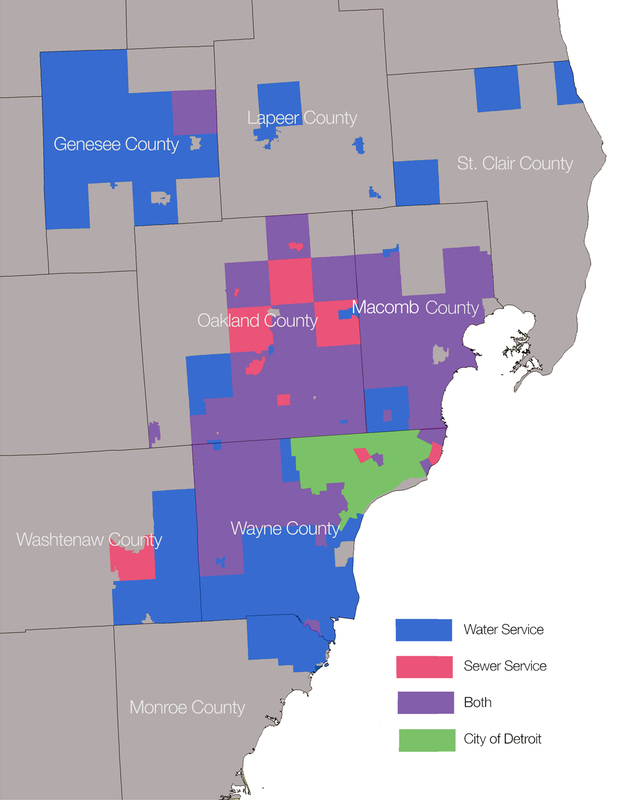 In June, the Detroit City Council approved an 8.7 percent rate increase, bringing the average residential water and sewer bill to $70.67, a cost that is high for people out of work, but which also puts Detroit in the mainstream of American urban residential water pricing. 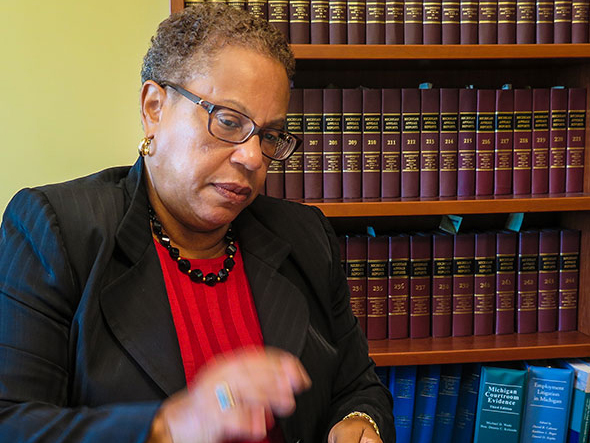 Many city residents, labor organizers, academics and public interest lawyers evaluating the outcomes of Orr’s appointment do not hold similar views. “What’s important for people to realize is that, although Detroit is the focus of attention because of its size and the scope of its problems, this is really an issue throughout Michigan,” said Curt Guyette, an investigative reporter for the American Civil Liberties Union of Michigan. “The state’s emergency manager law, which is primarily being implemented in cities that have African-Americans as a majority and poverty rates that are much higher than average, is unique in its scope. Democratically elected officials at the local level are having their authority gutted. Collective bargaining agreements are being broken, diminishing the effectiveness of public service unions. Public assets are being privatized. Health care benefits for pensioners are being stripped away. Many less people in Detroit are being asked to pay more towards those costs. Detroit has lost hundreds of thousands of jobs and an average of 20,000 residents annually have departed since 1954, when the city’s population peaked. That has left under 700,000 residents, and one-third as many property and business owners, to pay water and sewer expenses designed for a city that once had nearly two million residents. Before a rate increase in July the cost of water and sewer averaged around $65 a month for most households, according to the water department, but water prices are rising faster than most cities. The average overdue water and sewer bill is under $540, the department said. The judge’s hearing produced a small wave of action. The water department suspended the shutoffs. Before the suspensions the department had turned off service to 17,000 residences this year, prompting about half to pay their bills, according to city records. On July 28 Emergency Manager Orr issued an order that returned control of DWSD to the city and Mayor Mike Duggan. On August 7 Mayor Duggan announced a new 10-point program of relief that included expanded financial assistance for those who can’t afford to pay their water bills, and measures to ensure residents know when their water is in danger of getting turned off. Meanwhile, as the opening of the bankruptcy trial approaches, there are no parched throats in the offices and hotel suites of the bankers, attorneys, and court-appointed experts. Under the emergency manager’s guidance Detroit authorized at least $133.6 million to be paid in 2014 and 2015 for fees associated with the bankruptcy proceedings, according to court records. Judge Rhodes appointed a fee manager, Chicago bankruptcy specialist and attorney Robert Fishman, to review invoices and publish a quarterly report. His firm’s blended hourly rate for its work is $430 an hour, plus expenses. Attorney Expense Reports. Click image to enlarge. According to the latest filing by Fishman for fees from July 2013 to March 2014, 16 consulting firms, law firms, and finance experts have filed invoices for $54.2 million in fees and $2.4 million in expenses. 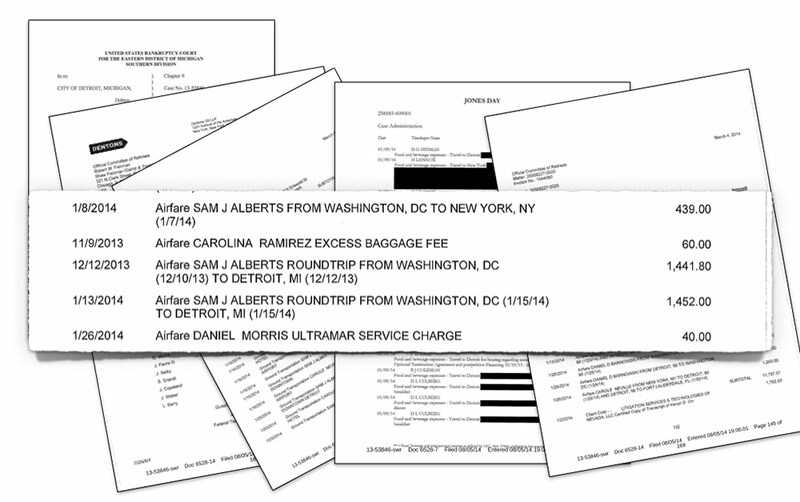 By far the largest invoices are from Jones Day, Orr’s former law firm, which filed for $22.2 million in fees and $590,248 in expenses for its work from July to February. Jones Day did not submit invoices for fees in March 2014. Moreover before July 2013, Jones Day submitted invoices to the city for almost $8 million more in fees. The Washington-based firm is seeking payments that average around $3 million a month. Jones Day lawyers earn up to $1,000 an hour and are filing for expenses that include $183-per-night hotel rooms, $1,000 flights from Washington to New York, $60 taxi rides and dinners at $40-per-plate and more. Another law firm, Dentons US LLP of New York, billed for $7.4 million in fees and $365,000 in expenses from July 2013 to March 2014. Dentons is litigating the settlement with Detroit’s pensioners and charges fees for its lawyers who are living and traveling in style as they earn up to $930 an hour. The firm regularly files for $218-per-night hotel rooms at the Westin Book Cadillac, and $195 limousine charges to transport one of its partners from their Stamford, Connecticut home to and from LaGuardia airport. Denton’s lawyers routinely paid nearly $1,500 for round trip flights to Detroit from New York and Washington. Denton lawyers also are filing for their hourly fees as they travel on flights to Detroit and back, and trains to Washington and back, fees that typically exceed $2,400 a day, according to their invoice. The attorneys and experts with Miller Buckfire, a New York-based investment banking firm advising Detroit on restructuring nearly $6 billion in bond payments, filed for $3.625 million in fees from July 2013 to March 2014, and $190,765 in expenses. Miller Buckfire is handling negotiations with major investors to restructure the $5.9 billion in secured water and sewer bonds the city accumulated over the last several decades. Detroit capped Miller Buckfire’s fee at $28 million according to an agreement it reached last year. The big banks readying new city debt also are set to rake in tens of millions of dollars. Upwards of $6 billion in new financing is under discussion in the bankruptcy filings. According to bond traders, underwriting fees to the banks now typically amount to $5 per $1,000, or $5 million per $1 billion. Earlier this year, for example, Puerto Rico authorities disclosed that the banks that managed its recent sale of $3.5 billion in bonds pocketed $28.1 million in transactional fees. The Detroit bond sale is likely to net Bank of America, UBS, Morgan Stanley, and several more financial institutions $50 million or more in fees. Bond traders could earn $100 million or more in fees and commissions from selling Detroit’s new debt. In effect, Detroit’s bankruptcy is producing thousands of losers, and a small group of winners — the professionals charged with carrying out the orders of the city’s emergency manager. The array of financially troubled cities in Michigan also make the state a potentially huge new market for municipal bankruptcies, and a deep pool for the extravagant fees generated from refinancing decades of industrial decline.